Answering ALL your Real Estate questions IS Mark’s business! He sets himself apart from the pack with his superior use of Video Marketing and Tech Tools to promote your house sale to the world in High Definition. Mark is compelled by the Realtor Code of Ethics to guard your best interest at all times. He will negotiate your contract and attend all inspections to ensure your house sale or new home purchase is to your complete satisfaction. Mark wants you to be AMAZED at how easy the home buying/selling process can be when working with experienced professionals. It takes skill and patience to complete a successful real estate transaction and Mark’s Happy Clients recognize the difference by continuing to refer their friends and family to Mark. That is how Mark builds his successful business as a Top Producing Realtor. 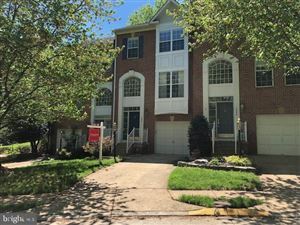 When you want to purchase or sell a townhouse, single family house, or condo in Reston, Sterling, Ashburn, Fairfax, or anywhere in Northern Virginia, Call, Text, or eMail Mark Wilson. He can help you with ALL your real estate needs for Northern Virginia! As a new buyer or seasoned seller he looks forward to working with you!